October | 2016 | Live Healthy S.C. While the Centers for Disease Control and Prevention (CDC) says nasal spray influenza vaccine should not be used during the 2016-17 season, there should be a sufficient amount of injectable vaccine available. South Carolinians are encouraged to protect themselves with the flu shot. The good news is that flu shots have still proved to be effective. Data found the injectable vaccine to be very effective in preventing flu when well matched with circulating flu strains. The CDC and the S.C. Department of Health and Environmental Control (DHEC) recommends annual flu vaccination for everyone 6 months and older. The flu vaccine is the best way to prevent the flu; it prevents flu illnesses, doctor’s visits, missed work and school due to flu, and flu-related hospitalizations and deaths. The nasal spray flu vaccine has been a popular choice for vaccinating children. Data from recent seasons suggests the nasal spray accounted for about one-third of all flu vaccines given to children. The flu is not like the common cold; it is more dangerous for children, especially for very young children or those with chronic health problems like asthma or diabetes. It is important for children 6 months and older to be vaccinated with the flu shot. Visit the CDC website for tips on how to make shots less stressful for you and your child. Likewise, older children, adolescents and adults are recommended to get the flu vaccine each year. Some people are more likely to get serious complications from the flu that can lead to hospitalization and sometimes death. This includes adults 50 years and older, pregnant women and anyone with chronic medical conditions like asthma, heart or lung disease and diabetes. Vaccination is also important for health care workers and other people who live with or care for high risk people to keep from spreading flu to them. DHEC once again will be providing school-located vaccine clinics for flu vaccine this year; the flu shot will be the only type of flu vaccine available in school clinics. School-located vaccine clinics remain a convenient way for parents to ensure their child gets the flu vaccine. Flu vaccines are also available from health care providers, local DHEC health departments, and local pharmacies. Those age 12 and older can receive the flu vaccine without a prescription at a pharmacy that offers flu vaccine. Flu vaccines offered at DHEC Health Department clinics are available by appointment. 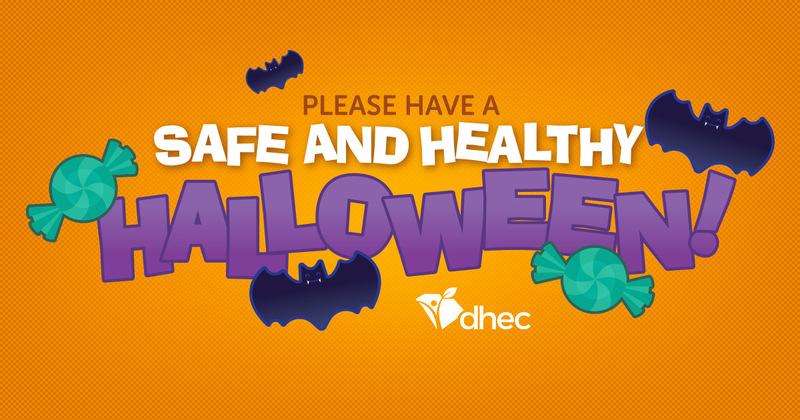 Call 1-800-868-0404 to make an appointment or go to http://www.dhec.sc.gov/Health/Vaccinations/FluVaccines/FindSeasonalFluClinics/ to find the location closest to you. To find a non-DHEC flu vaccine provider, go to http://flushot.healthmap.org/ to search for the location closest to you. This entry was posted in Community Health and tagged CDC, Centers for Disease Control and Prevention, Department of Health and Environmental Control, DHEC, flu, flu vaccine, Influenza, nasal spray, South Carolina, vaccine on October 26, 2016 by SC DHEC.